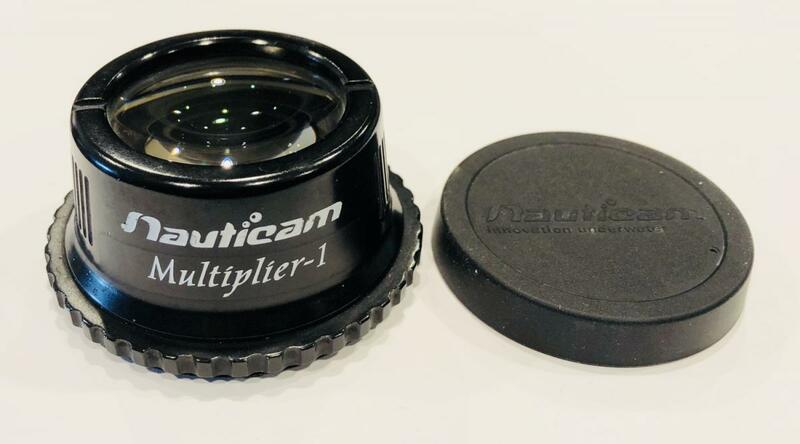 For Sale: Used Nauticam Multiplier-1 ~ Surface elements are scratch-free. $240.00 Free shipping in the continental US. The multiplier lens elements are precision crafted of specially formulated low-dispersion optical-grade glass and ground to the most demanding standards. These exceptional measures, enhanced by broadband anti-refective coatings effectively reduce common optical issues such as chromatic aberrations, coma, spherical aberration, and field deformation associated with underwater macro photography using traditional magnifying lenses. 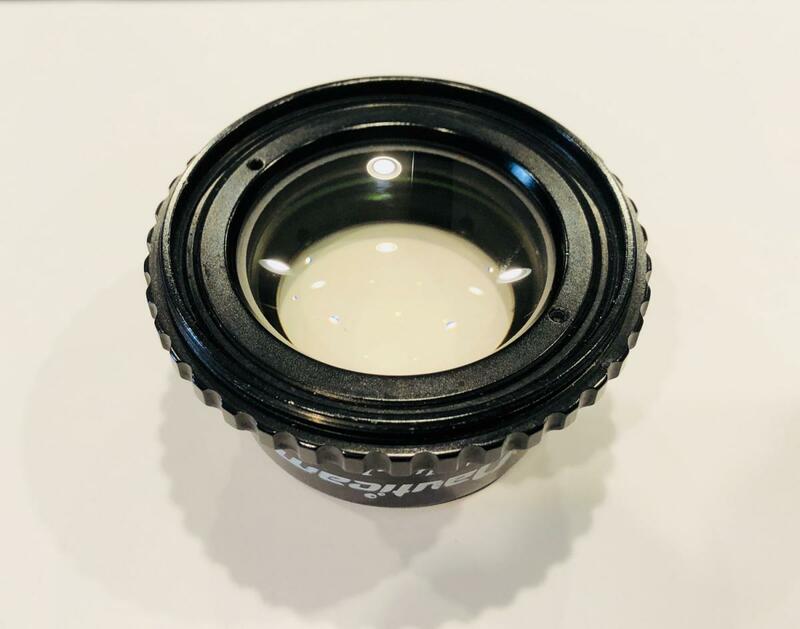 These optics are assembled in a rugged hard anodized aluminum housing, and nitrogen purged during assembly to eliminate fogging. The Multiplier-1, when added onto an SMC-1 paired with a 100/105mm macro lens on a full-frame camera can give 3.5x magnification.